Circa 1800 house of three storeys and basement, five windows. Stock brick. Rusticated stone basement, first floor cill band and mutuled cornice. Gauged flat brick arches to sash windows with glazing bars and stone cills. Four stone steps to six-panel door in panelled reveal flanked by engaged columns and pilasters supporting cornice head below wide fanlight. Prostyle Ionic porch with enriched entablature and blocking course. One-storey side bays have stone cornice and blocking course holding modern doors with hoods set in original round arched recesses with mask on key block and patterned impost blocks. In 1791 Crooked Bridge Field was let by John and Sarah Bond on building lease to William Burrows of South Lambeth, plasterer, who erected houses on the site. No. 274, Beulah House, is a well-proportioned three-storey house with single-storey wings. The wings and central Ionic porch have been altered or rebuilt sympathetically. The modelled keystones to the arches in the wings are almost certainly of Coade’s artificial stone.The house was first leased in 1798 to Horatio Clagett. From 1825 until his death in 1849 it was occupied by John Poynder, clerk and solicitor to Bridewell Hospital. He was the author of several theological tracts and “Literary Extracts from English and other Works, collected during Half a Century”. He was also a stock-holder in the East India Company, and as a result of his passionate campaigning the practice of sati was declared to be punishable as culpable homicide in 1829. 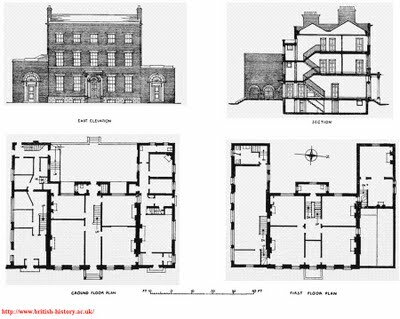 In 1852 a lease of the house and premises, including a wash-house, laundry and drying ground in the rear, was obtained by Thomas Cook, William Hill and Henry M. Rogers, “scourers”. The premises are still used by Rogers and Cook, Ltd. 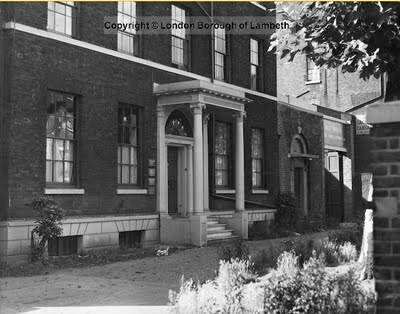 According to Lambeth Archives: “Rogers and Cook; Launderers, Dyers and Cleaners were situated in a former Georgian dwelling at 274 South Lambeth Road. The laundry was established in 1823 and became royal launderers by appointment to King George V and the Prince of Wales”. Article contributed by Andrew Orange at Tradescant Road and South Lambeth blog.